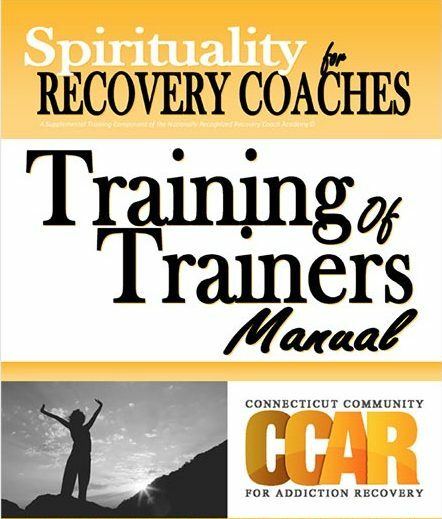 Authorized CORE Trainers of the CCAR Spirituality for Recovery Coaches Curriculum must order manuals from CART/CCAR for each of their participants of the training. Please download, complete and return the Spirituality TOT Training Registration Form to CART or fax to 860.244.2228. No manuals will will shipped unless this form is submitted to CART. If you are a trainer that needs to replace your Trainer’s Manual you can do so here.